In this article I’m going to show you how to get the full version of Pro Tools 12 for just $299 (actually it’s Pro Tools 11 to start but it’ll be free to upgrade to 12 when it gets released). Not only that, but you also get a Fast Track Solo audio interface included in the deal for the $299 price. I took advantage of this offer myself and know for sure that it is totally legit, which I’ll admit is kind of hard to believe when the full version of Pro Tools software sells for no less than $699 right now online, not unless you’re a student or have an earlier version of Pro Tools that can be upgraded. After weighing the pros and cons of Pro Tools First, Avid’s new free version of Pro Tools 12, I decided it would be better to purchase Pro Tools software outright instead of having to deal with the free version’s limitations. Only being able to save three projects at once is a big problem. So I started looking for ways to get the full version of Pro Tools for less than the $699 asking price. As it turns out, I discovered that Avid offers a crossgrade path for their hardware devices that makes purchasing their software a lot more affordable. This only applies to devices that come with Pro Tools Express software, including Avid’s Mbox audio interfaces and the Fast Track Solo and Fast Track Duo. The Fast Track Solo is the cheapest route to getting Pro Tools 12, but you can use any of the other devices to get a similarly good deal if you need a better audio interface. You can even get their highest-end model, the Mbox 3 Pro, with Pro Tools 12 for $659. There are a few different ways you can take advantage of this deal. 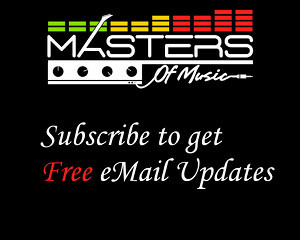 Alto Music is currently the main source online. You can get access to the deals at Alto Music.com and they also sell on Amazon.com. This a limited time deal that could expire soon, but it’s not the only option. 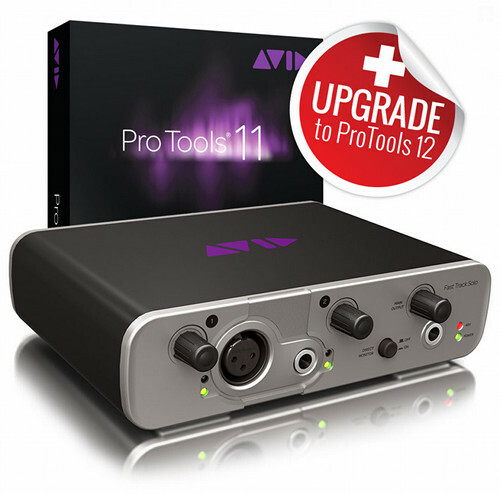 You can also buy Avid hardware anywhere else that comes with Pro Tools Express and get the option to crossgrade for $199 (see the Pro Tools licensing page). It’s a little harder to find as good of a deal this way, but it’s still possible. For instance, a lot of places sell the Fast Track Solo for $125-$150. Right now Guitar Center sells it in stores for $88.81. After taxes that works out to about the same as the Alto Music deal, maybe even a few bucks less. The hardware packages even come with iLok 2 devices so you don’t even have to purchase one (you have to use an iLok 2 to run Pro Tools software). So, as easy as that you can get the full version of Pro Tools 12 for under $300. You’d have to be crazy to buy the software separately by itself for $699. I don’t know about you, but I’m sure glad I stumbled across this deal. You could even sell the Fast Track Solo if you don’t need it and get an even better deal. Hello, I’m really thinking about getting this as it comes across as a really good offer! How can I be sure? Is it too good to be true? It’s a legitimate offer; I took advantage of it myself. But I think it’s up to $350 now. It’s still probably the cheapest way to get Pro Tools 12. However, if I could go back in time I would pass on it. The audio interface is just okay and they’ve since discontinued it and it’s only worth like $50 itself; you’d be better off with a Focusrite interface (I just upgraded to a 2i4 last week). If you’re new to Pro Tools and are thinking about getting it, I’d suggest trying the free Pro Tools First version before buying to see if you like it or not first. I’ve been trying to force myself to like it for the past year since buying this, but I just can’t do it. Everything about it is difficult to learn and timely to setup (you have to hover over like 3 separate menus just to add a plugin; it drives me crazy). Then stuff doesn’t work and errors popup that end up taking all your time away from actually making music. I ended with a free copy of Ableton Live Lite that came with a MIDI keyboard I got (it comes free with just about everything) and I like it much better than Pro Tools. It doesn’t look as cool but workflow is ten times faster and it works much better for MIDI-related stuff. I do wish it had some of Pro Tools advanced features, like playlists and better audio editing, but for song creation and experimenting Live’s unique session view can’t be beat. Oh ok. Well…I have been using Pro Tools 8 for the past 3 years so I do know my way around P.T. but I’m just trying to be sure that this is actually P.T. 12 and not Express or something. I have used Ableton and it’s great for the more electronic side of music but Pro Tools is best for recoding real instruments I believe while sampling, so I’m torn. I mean to get Pro Tools and if this is the right one than I’d probably be pleased with this. Actually if I were you I’d contact Avid support before buying this to make sure the upgrade path still works. They’ve been changing everything lately. Their audio devices aren’t even mentioned on the upgrade page anymore, and they’ve discontinued their Fast Track devices. Alto Music is about the only place that sells them anymore, and the upgrade process is rather convoluted. You have to start with LE then upgrade to 11 before upgrading to 12, so I don’t know if Avid even allows that anymore. Oh ok I’ll do that. But, do I have to use this as an upgrade? Can’t I just put this on my computer straight as P.T. 11? I’m not sure how it works these days; I did it almost a year ago and it was like a twelve step process. We had to upgrade from Pro Tools Express to 11, then from 11 to 12, and deal with a bunch iLok nonsense and setting up various accounts and last wills while fending off a circle of witches. Maybe I imagined that last part. Either way I do recall it taking over an hour. Still, it’s by far the cheapest way to get Pro Tools (at least it was a year ago). Plus it’s a perpetual license so it’s a lot better than their new subscription plans that are like $299 per year. Pro Tools 12 also comes with a $99 per year support plan but you don’t have to pay that unless you want support/future updates. It is really good software for that price. I just need to buckle down and learn how to use it more efficiently and effectively. One idea Avid should steal from Ableton is the handy help window and built in tutorials that explain what everything is and how it works. Right! So it has Express on it right? And then you update it to 11? To be honest setting up SE took a while so I can understand the downloading process. I think a few witches started appearing too. I presume it comes with an iLok USB and a cd? I agree with the price entirely, it’s the cheapest one I can find, even now! And, obviously these things need practise, but that’s part of the fun of it I guess. You’re right about them taking that from Ableton! I really appreciate your help, you’re very helpful. Also, how many audio tracks can you use? And what does it have that for instance P.T. 9 doesn’t have ? I think it’s 128 audio tracks. I don’t know the differences from 9 since I just got onboard starting with 12. Too bad Avid doesn’t allow transfers of 12 or I’d just sell you my copy. I’m seriously thinking about getting this now! Sorry, they stopped offering this deal when they introduced new plans and discontinued the Fast Track audio interfaces.